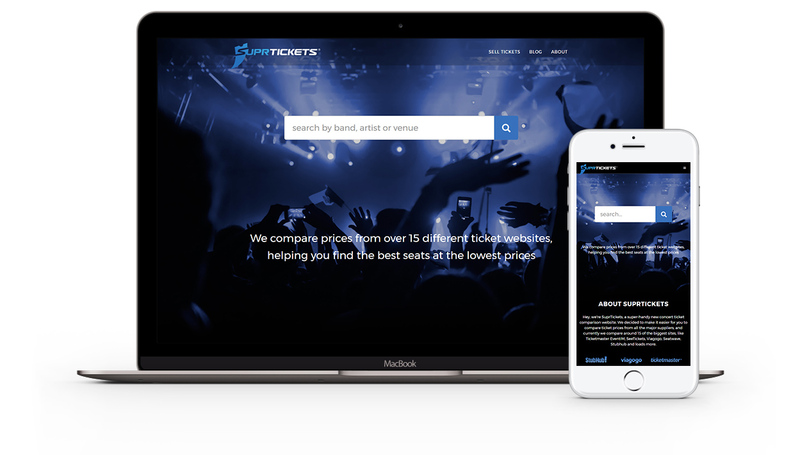 SuprTickets.com was a concert ticket & sporting event comparison website that we created in 2014, giving users an easy-to-use site that shows the cheapest ticket prices available. 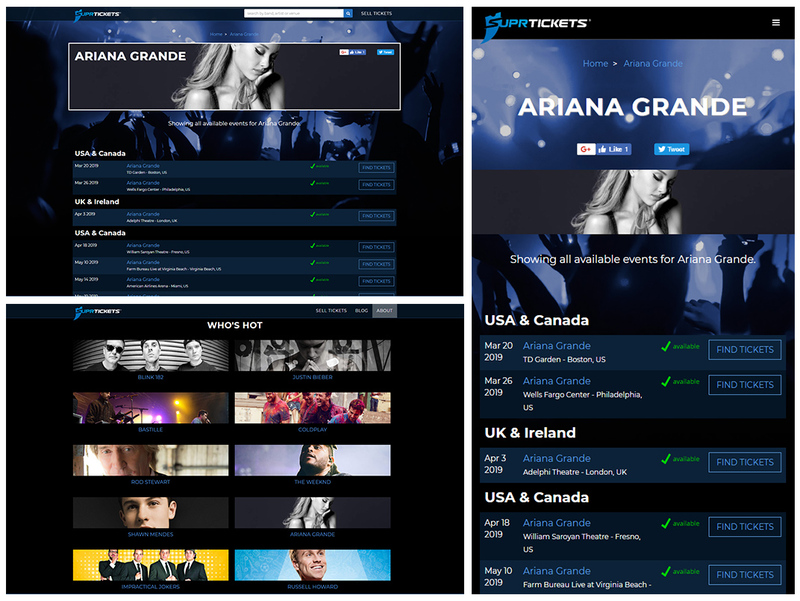 The site compared prices from over 15 different companies such as Ticketmaster, Ticketline.co.uk, Viagogo, Seatwave and many more. SuprTickets knows just how important seeing your favourite band is so showed you where tickets were available, and at what price. You can then click through to any of the merchants and buy or browse tickets. Why check each ticket site individually when you can do it at SuprTickets, super-quick? We developed the website completely from scratch, using a bespoke PHP content management system along with a MySQL database. This database contains over 30,000 artists & bands, 20,000 venues throughout Europe, and over 200,000 individual ticket listings. SuprTickets is a concert ticket comparison website helping you find the best deals at the lowest prices. Based in Manchester, UK, but covering concert events worldwide. Search for an artist, band or venue and see if you can save money. 100% secure. Note, as of January 2019 the site was retired and redirected to this webpage.